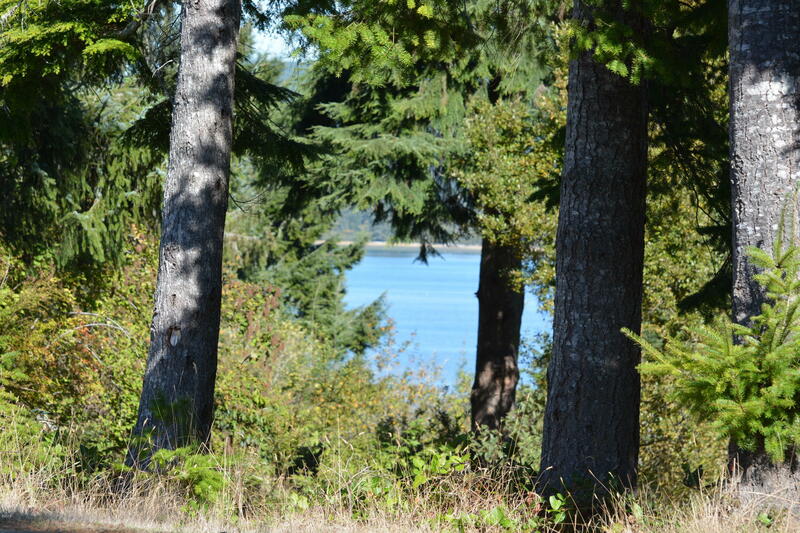 Top of the world views from this large Very large 1.13 acre parcel with beautiful fir trees, and all with spectacular views of both the ocean, Alsea Bay and Bridge during day, but also gorgeous view of city lights at night. 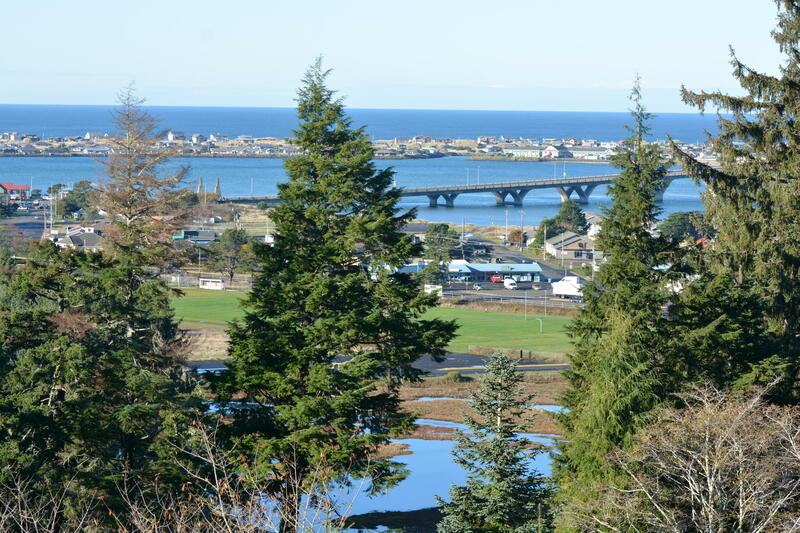 One of Waldport’s best neighborhoods, quick access to town. 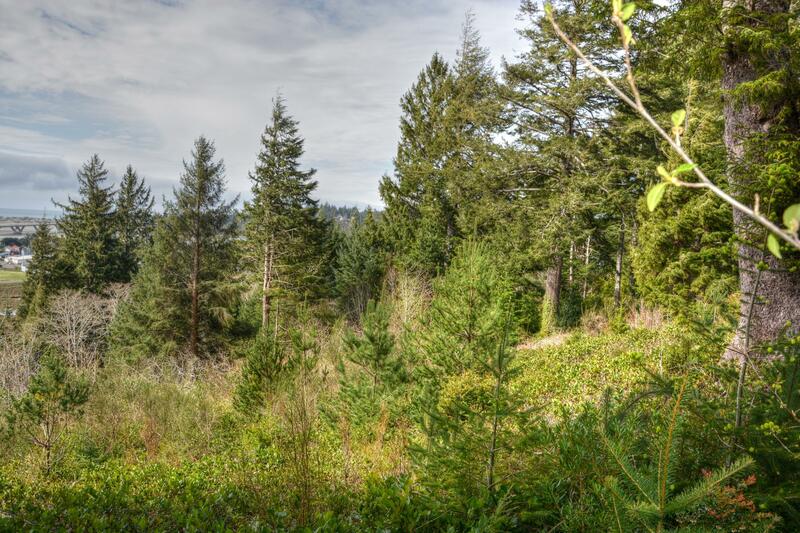 ‘Perfect lot for your dream home. 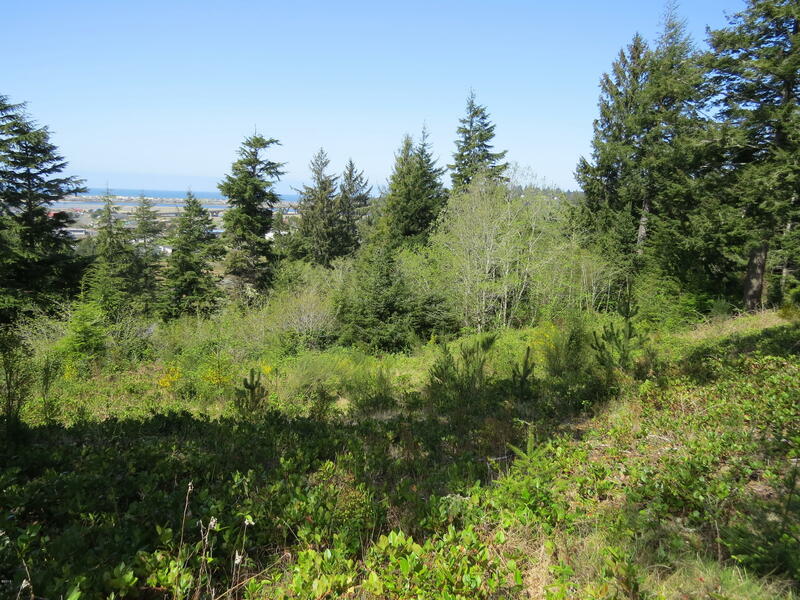 Home site can provide for both access off Waldport Heights Dr and Hillside Dr and has many possibilities for design and usage. City of Waldport water, septic approved, building site is cleared and ready to build on. Directions Highway 34. 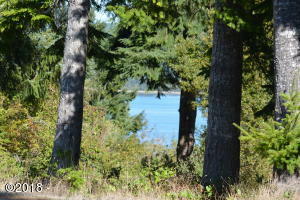 First Right onto Waldport Heights Dr just past Lint Slough Bridge. 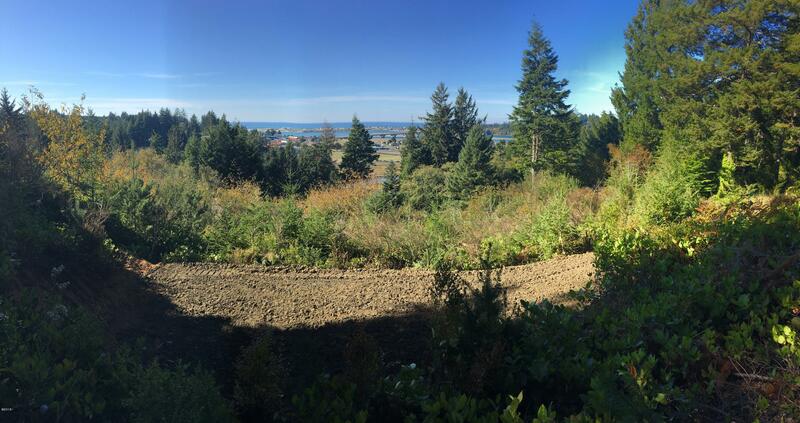 On the corner of Waldport Heights and Hillside Dr.